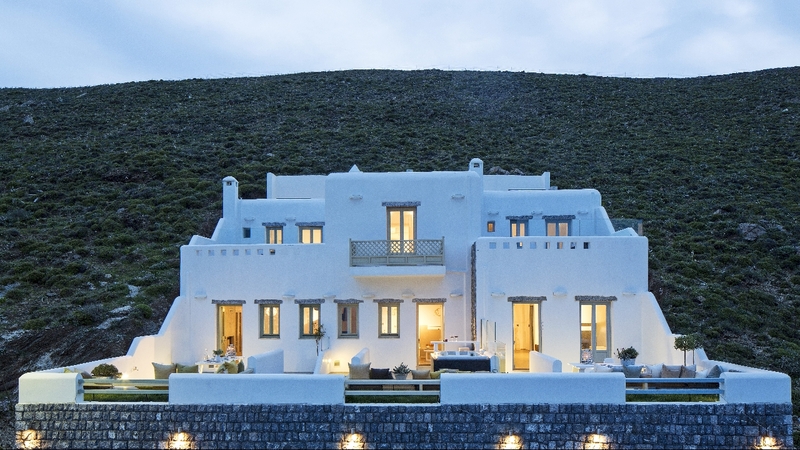 Astipalaia flirts with both the Dodecanesean glamour and the Cycladic allure and it is this combination that distinguishes it from other neighbouring islands. Its shores are caressed with turquoise waters, countless chapels appear at every step and accompany your strolls. The whiter-than-white houses are tightly positioned along the picturesque narrow alleys. Astipalaia is unique and has its very own way of making you feel like you have lived there all your life. Why not choose one of our luxury villas in Astipalaia, Greece and enjoy a truly memorable holiday. The luxury Villa complex, Melograno, places its eclectic guests at the epicenter of care and attention, prioritising absolute relaxation and the creation of a memorable holiday.